Indian Oil said the subsidy transfer in the customer's bank account has been increased to Rs 433.66 per cylinder in the next month. LPG or cooking gas prices were increased on Wednesday, marking the sixth monthly increase in a row since June. 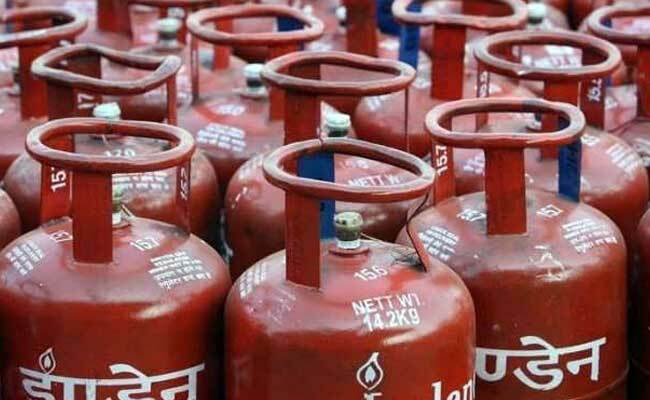 While the hike in subsidised LPG was to the tune of Rs 2.94 per cylinder in Delhi, the increase in non-subsidised cooking gas was Rs 60 per cylinder, Indian Oil Corporation, the supplier of LPG cylinders under brand Indane, said in a statement late on Wednesday. The new LPG rates will be applicable to LPG cylinders in Delhi in November, according to Indian Oil, the country's largest fuel retailer. Indian Oil said Wednesday's increase in LPG prices was "due to change in international price and foreign exchange fluctuations". It also said that the actual impact on subsidised domestic LPG customers is mainly due to GST (Goods and Services Tax). For the month of November, LPG consumers will pay Rs 505.34 per cylinder at subsidised rates, and Rs 939 per cylinder at non-subsidised rates. 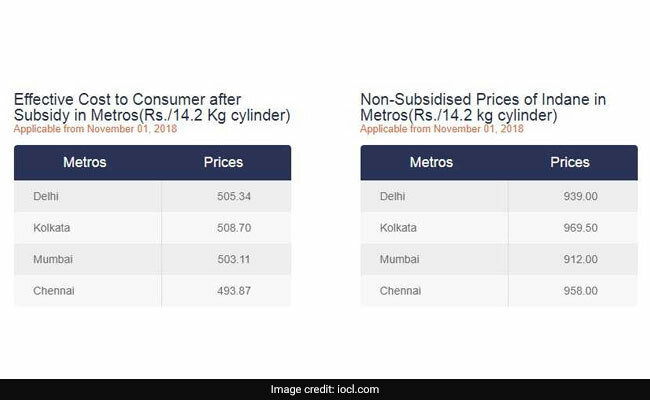 Since June, the subsidised LPG prices have been raised by a total Rs 14.13 per cylinder in Delhi. Indian Oil said the subsidy transfer in the customer's bank account has been increased to Rs 433.66 per cylinder in the next month, as against Rs 376.60 per cylinder this month. The government subsidises 12 LPG cylinders of 14.2 kilograms each per household in a year. It provides the subsidy amount directly in the consumer's bank account. The consumer has to bear the market price for additional LPG cylinders in a year.